Intel has recently introduced the Intel Atom S1200 product family (Codename: Centerton) targeting high-density microservers (1000+ nodes per rack), and energy-efficient storage and networking systems. These new processors includes features such as error code correction, 64-bit support, and virtualization technologies required for use inside data centers, and consume as low as 6.1 watts. 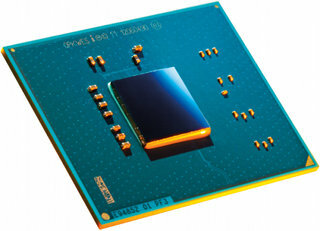 The SoCs include 2 physical cores and 4 threads enabled with Hyper-Threading Technology. The SoCs also include 64-bit support, a memory controller supporting up to 8GB of DDR3 memory, Intel Virtualization Technologies (Intel VT), 8 lanes of PCI Express 2.0, Error-Correcting Code (ECC) support, and other I/O interfaces integrated from Intel chipsets. Atom S1200 processors are manufactured using 32nm process technology. Intel also announced that more than 20 low-power designs including microservers, storage and networking systems use the Intel Atom processor S1200 processor family from companies such as Dell, HP and Huawei. Those implementations leverage existing operating systems such as Red Hat and Windows Server 2012. Looking ahead, Intel is working on the next generation of Intel Atom processors for microservers codenamed “Avoton”, which will use 3-D Tri-gate 22 nm transistors to provide better performance per watt for light scale-out apps such as simple content delivery solutions. Intel Atom S1200 processors are available now, and the recommended price is $54 per 1,000 units. You can find more information on Intel Atom Processor S1200 Series for Server page, and in the press briefing presentation.